A tribute concert to honor the sacrifices made for humanity by righteous among the nations Irena Sendler will premiere in July at the Melbourne Recital Centre in Southbank thanks to a collaboration between the Polish and Israeli Embassies. 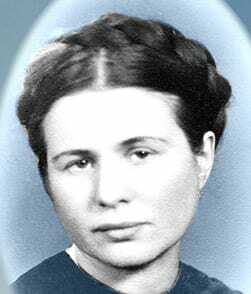 Irena’s Song: A Ray of Light in the Darkness is a moving, classical tribute to Polish Catholic social worker Irena Sendler, who saved some 2,500 Jewish children from the Nazi regime. During the Holocaust, Sendler supplied thousands of children with false identification documents and smuggled them to safety from Warsaw’s ghetto. Tortured and sentenced to death for the crime of “aiding Jews”, Sendler escaped and continued her resistance under an assumed name. For each child she saved, Sendler wrote their real name, new name and those of their parents in code, and buried these records in jars beneath a neighbour’s apple trees so she could reunite the children with their parents after the war. She kept in contact with the children she saved, and their families, until she passed away, age 98 in 2008. Sendler is survived by her daughter, who will provide personal insights of her mother via a video address at the event. Remembered as one of the Righteous among the Nations, Irena Sandler was nominated for a Nobel Peace Prize and recognised by President Barack Obama for her “extraordinary courage”. Coming especially from Israel is the award-winning original Israeli composer and conductor, Kobi Oshrat and esteemed Israeli soprano Karin Shifrin. They will partner with Orchestra Victoria to perform the symphony. Oshrat describes the work as “a professional mission” that was the least he could do to honour this woman”. The 20-minute work was written as a collage of Sendler’s life. Mr Yuval Rotem, the Ambassador of Israel to Australia, said “it is an honour to create this majestic and meaningful tribute to the legacy of Sendler and other Righteous among the Nations”. The evening’s program will feature a unique blend of personal tributes, emotional stories and recollections from an array of people including Irena Sendler’s daughter; righteous Polish-Australian Adrian Vanas, who risked his life to save Jews and today lives in the Montefiore Jewish Homes; and the Polish and Israeli Ambassadors. The premiere will be accompanied a Polish piece by Simon Laks “Suite polonaise” (Suita Polska), conducted by renowned Australian composer/conductor Richard Mills and an intermezzo of Jewish folk music. ABC’s Jon Faine will compere the occasion and will be joined in the recital hall by a VIP guest of honour. Mr Andrzej Jaroszyński, Ambassador of the Republic of Poland highlighted the importance of the concert saying, “in the present world full of tribulations and confusion, those eager to ignore the lessons of the past should hear the voices of those who remember, so that the nightmare of history repeated can never, ever happen”. The concert is generously supported by The Pratt Foundation and held in cooperation with the Zionist Federation of Australia, the Jewish Holocaust Centre and the Polish Community Council of Victoria. Tickets start at $40 and can be purchased at the Melbourne Recital Centre, or on (03) 9699 2228. This women was an Angel on Earth………she has earned her Wings.